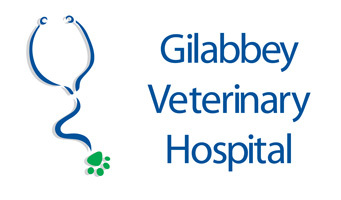 At Gilabbey Veterinary Hospital, we provide state of the art professional diagnostic services to our clients and referring veterinary surgeons. 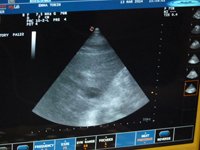 Ultrasonography is used regularly as part of our diagnostics services and endoscopy allows a visual examination of internal organs and body parts without invasive exploratory surgery. This can be a really useful tool to image structures within the abdomen and chest and look at blood vessels, lymph nodes and other important structures. Our specialist in Diagnostic Imaging is Emma Tobin. Endoscopy allows a visual examination of internal organs and body parts without invasive exploratory surgery. Special video cameras can be attached to the endoscopes which allow viewing of the exam on a television screen, as well as recording the exam on video. Fluoroscopy is the standard guidance modality for most percutaneous musculoskeletal interventions in humans; including long bone fractures, spinal fusions, and bone biopsies. It is an asset because of its excellent bone-tissue contrast and real-time imaging. 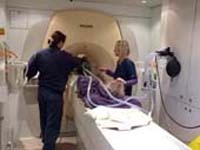 We are fortunate to have a mobile MRI (Magnetic Resonance Imaging) Unit which visits the Hospital every month. A scan is similar to an X-ray in that it will provide images of the inside of your pet, but it provides more detail and it is safer because it does not use radiation. While an X-ray or an ultrasound scan will show the size and shape of an internal organ or tissue, an MRI scan will show what the inside of the organ or tissue looks like. 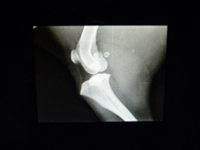 As part of our diagnostic imaging services, Gilabbey Veterinary Hospital offers a fully computerised x-ray facility. The radiographs can be directly displayed on high resolution computer monitors throughout the hospital enabling ready access by all of our clinicians. Here at Gilabbey we have a comprehensive laboratory which is used in the diagnosis of diseases in dogs and cats. For specialist laboratory analysis we are fortunate to have a dedicated veterinary laboratory, VLSI, on the premises, where we receive rapid, accurate results and excellent interpretation and back-up.